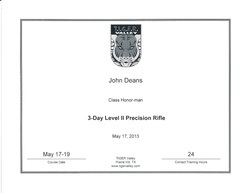 I was taught to shoot at the age of ten by my Vietnam combat veteran brother Michael Deans. 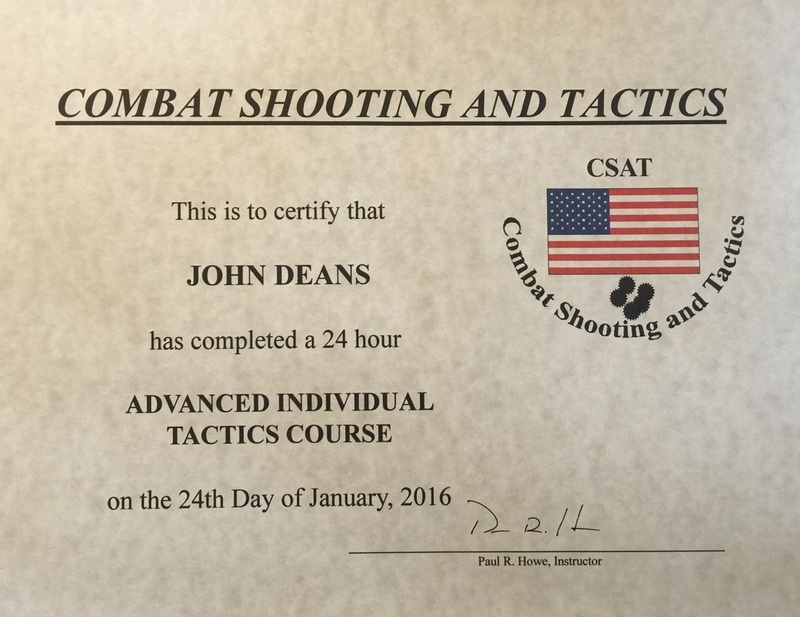 For the next forty years, I worked to become a civilian marksman. Due to the heavy crime rates of Houston back in the 1980s, I armed myself to protect my family in a hostile environment. 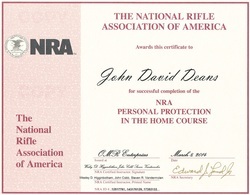 Being the first group of Texas based CHL holders, I have 'walked heavy' legally since the mid 1990's. During that same time I earned my Black Belt from Young Brothers Tae Kwon Do which helped develop my defensive mindset. After moving to Brenham Texas in 1997, I established the Seven Eagles Shooting Association (SESA) and began shooting at our ranch with fellow gunners on pistol, carbine, shotgun and long range rifles. 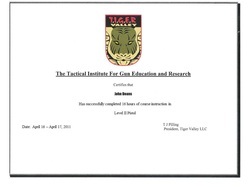 The thirst for formal training then came with numerous trips to the Tiger Valley firearms training center in Waco Texas. 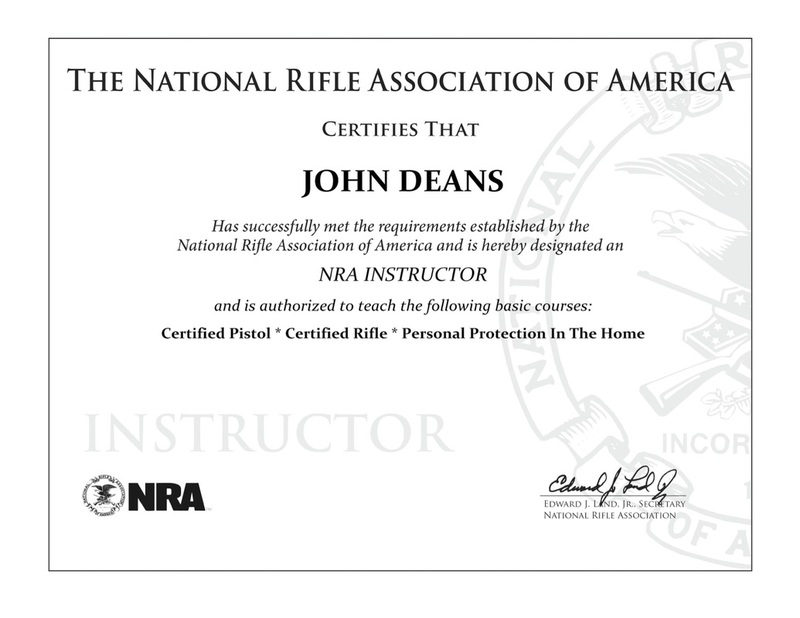 Now as an NRA Certified Instructor, my goal is to train civilians in defensive shooting to protect themselves and their families in today's hostile world. 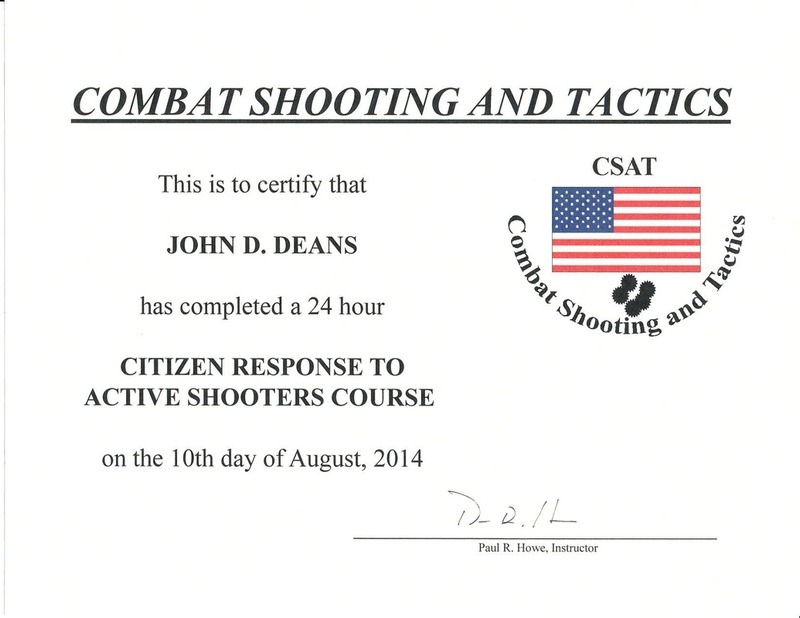 Later I was privileged to attend the course "Citizen's Response to Active Shooter" at CSAT taught by former Special Operations SGT Paul Howe. 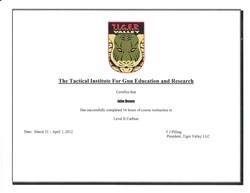 Now you can become a Texas Concealed Handgun Licensee by taking the CHL Course at our shooting facility. These two days really showed me how to shoot a handgun under pressure. Gun Shot Trauma Training - This class in treating accidental gun shot wounds was very informative and critical for all firearms instructors. 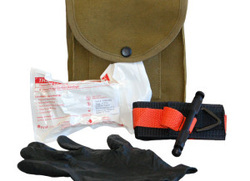 This private lesson was put together by our Washington County EMS specifically for our gun range activities so to stabilize the accidental gun shot patient until professional help arrives. 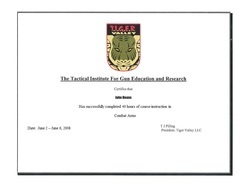 Learning how to fight with your AR-15 is a different world from target shooting or hunting. 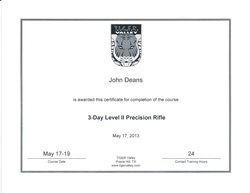 Five full days of Pistol, Carbine, and Shotgun with over 3,000 round fired. Now math comes into play with long distance shooting. Getting 10" groups at 1,000 yards is now possible. The bullets flew just right for me that day in the DDM subset test. NRA Personal Protection In The Home - This single day course taught at home firearm defensive techniques and proactive measures to protect your family. 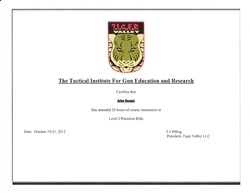 Good foundation for rifle shooting is critical for both safety and precision. 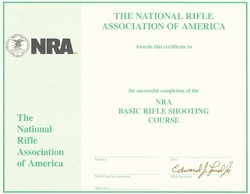 The NRA's Basic Rifle Course covers the fundamentals well. 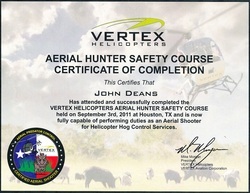 Became a certified Aerial Hunter and was it ever fun hunting hogs hanging out of a helicopter with an AR-15.